I wonder if you have read ‘The Morville Hours’ – a beautiful and precious book, as intricate and finely tended as the garden it is based on. Set in Morville near Bridgnorth in Shropshire, it is just a few, very picturesque, miles from my house. 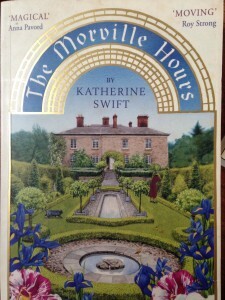 The author, Katherine Swift, once worked in Oxford as a rare-book librarian before turning to gardening and writing full time. Our books are very different. Hers is non-fiction, based on the development of an intense relationship with the garden at the Dower House and the framing history of its landscape. Mine is fiction, based on a life of fantasy and obsessive medieval research. 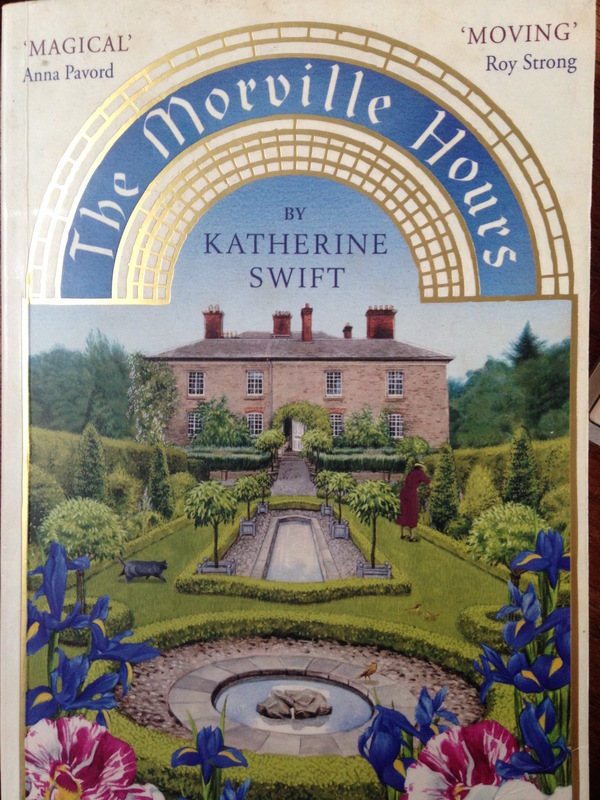 Katherine Swift has written a meditative, fugue-like book, in which each separate garden room is like a beautifully enameled bead on a necklace. I have written an adventure that goes at full tilt, headlong through a hostile landscape and all sorts of danger. But thinking about it a bit more carefully, I believe there are a few common links between her book and mine, in addition to the more superficial ones, such as the word ‘Hours’ in the title and the general geographical location. 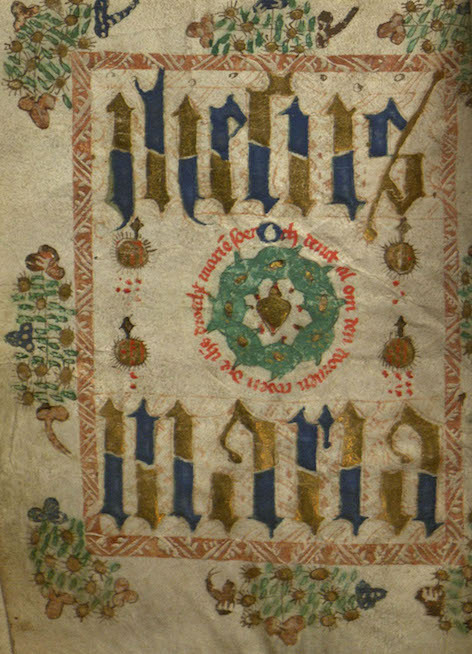 There is the intense interest in the way that dividing up a day into the offices of the church (the Hours – such as Prime, Matins, Vespers, Compline etc) can help one to think of time as something that needs tending through proper, careful attention. 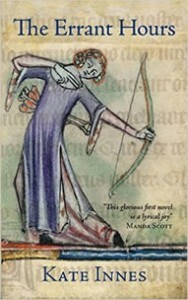 In ‘The Errant Hours’ the protagonist, Illesa, must leave her home, and with it, the ordered life of farming and prayer. Her hours have become wayward and time runs together faster and faster once the boundaries are gone, in an exhilarating and terrifying race. 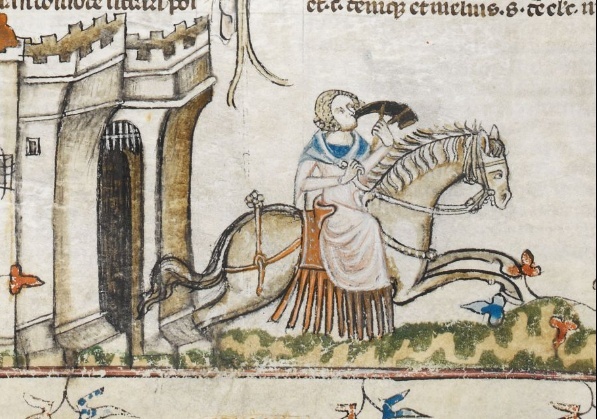 In ‘The Morville Hours’, there is freedom and intensity inside the structure of the day as the life of the garden becomes ever more intertwined with the writer’s life, and history with the present day. 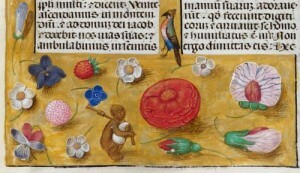 And, speaking as one admirer of ancient manuscripts to another, there is the understanding that reading a unique illustrate book, written long ago, painstakingly, by hand, can feel like picking a variety of fruit and blooms in a sunny, walled garden. But I digress. The main point of this post is to tell you that I am going to be at the Morville Festival on Bank Holiday Monday, the 2nd May, right next to the garden about which ‘The Morville Hours’ was written. Anna Dreda of Wenlock Books has invited me to sign copies of my book in the tea tent (yay!) which I consider a delicious privilege. There is a Fete and a fancy dress competition, as well as the stunning garden and flower festival in the church. And there is cake! Lots of cake! If you come, you will not be disappointed.